Quality materials are always important in construction, but the craftsmanship in putting everything together is what sets these units ahead of the competition. Every joint is glued, stapled and then screwed together with hardened steel screws. Take a brief look at some of the construction methods used in the manufacture of these products. Interior doors and fittings are carefully manufactured. 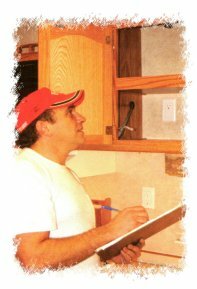 To help maximise quality, wooden doors, units, cabinets and effects are sourced and hand-made in Napanee in Indiana, the heart of Amish country, where quality craftsmanship and pride in their work is a way of life. Coach construction uses only the finest materials, The floor decking is both glued (left) and screwed (right) to sturdy 2 x 3 floor joists which are also fully insulated. The whole floor assembly is then bolted to a steel frame offering possibly the strongest floor system available anywhere in the world. Sidewall construction (left) has several unique benefits. 1. 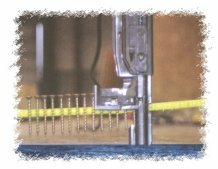 Sidewalls are always set on top of the floor and screwed down for maximum strength. 2. Steel bands connect the walls to the floor. 3. Insulation is hand cut and glued into place which offers immense strength and virtually no 'creep'. Finally all units go through several rigid inspections that include gas, water, structural, electrical, cosmetic and general quality of 'fit', to make each trailer the 'best it can be'!